Mountain Land Physical Therapy South Weber provides comprehensive physical therapy and rehabilitation services to South Weber, Ogden, Layton, Kaysville and the surrounding communities. Conveniently located on South Weber Drive near Highway 89, I-84 and the mouth of Weber Canyon, our South Weber Clinic is here to help. Jeremy was awesome! The best physical therapist I’ve ever gone to! Jeremy is the best and most Knowledgeable physical therapist I have ever worked with. Great experience and very helpful. Jeremy Stoker is the best PT ever!!! I have seen a few other doctors and physical therapists for related problems in the last couple of years, but Jeremy was by far the one who showed the most interest in listening to me and trying to help me get better so I can achieve my goals. I had a great experience and will gladly recommend him and MLR to friends. Everyone was very friendly and courteous and I appreciated the care I received. Jeremy is a GREAT GUY!! Jeremy is awesome! Best PT I’ve ever been too. We will always be so grateful for Jeremy Stoker and the time he spent expertly caring for our daughter. She always felt important to him and that he genuinely cared about her problems and her great desire to run without pain or injury. She is running again when we didn’t think it would ever be possible. Jeremy is the best. He worked me into his schedule because I was in so much pain. He helped me significantly on the first visit. The entire staff is knowledgeable, friendly, helpful, there when you need them. They always remember your name, and what you need to do. Jeremy is an amazing therapist. Jeremy is the best! I really enjoyed going to PT. Everyone made me feel comfortable. Jeremy was very thorough and made sure I was comfortable and helped me to get to where I needed in my recovery. Everyone at the facility was just great. Jeremy was very knowledgeable and professional and he treated me with kindness and concern. … I would definitely recommend Mountain Land to others. I completed my 30k as planned. My hamstring held up with low pain. Was very pleased. Thank you. We love MLR and jeremy. Thanks for all your help. Jeremy’s passion lies in movement. He loves anatomy and physiology and using his knowledge of both to expand and enhance movement for his patients. As someone who enjoys moving and being active himself, Jeremy gets excited when he is able to help others be the kind of “active” they want to be. He is a certified USA track and field coach and tries to use that knowledge when helping patients of all ages. 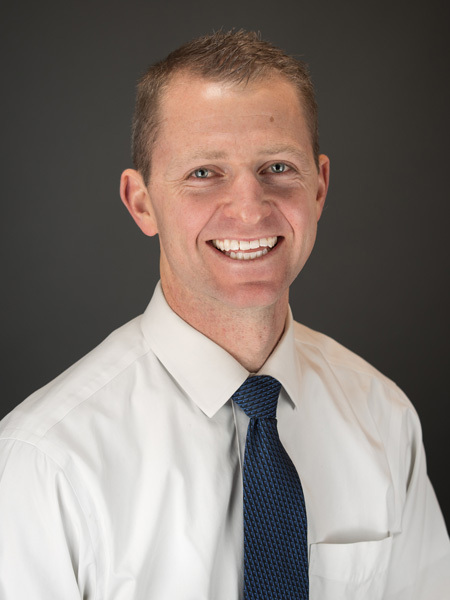 Jeremy is a board certified orthopedic specialist, and uses his skills and knowledge to help people get better faster. He loves helping others get past pain and incorporate the ability to move back into their life. Jeremy prides himself on focusing on full wellness and health, instead of just injuries. Jeremy has run multiple marathons and enjoys being active in any way possible. When he’s is not in the clinic, Jeremy is most likely with his awesome family of three kids and beautiful wife. Schedule an appointment today to have Jeremy help you achieve your goals.